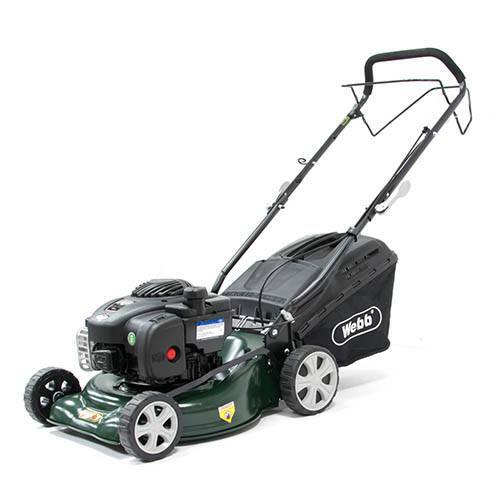 With a top end Briggs and Stratton powered engine power and combining three-in-one mowing this high specification WEBB mower ticks all the boxes in terms of performance, versatlity and durability. It runs on power driven rear wheels so it is ideal for going over rough grass areas. This product is delivered directly from the supplier. An email address and telephone number is required at point of ordering so that delivery can be arranged. 1. If you're not totally happy with your order, return it within 30 days and we'll replace or refund in full! Registered Company Name: You Garden Limited. Registered Company Address: 22-26 King Street, Kings Lynn, Norfolk, PE30 1HJ. Registered Company Number: 07864712. Registered in England & Wales. You Garden Ltd is A Shopping @ Home Limited Company.